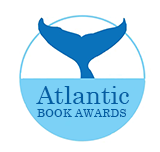 The Atlantic Book Awards Society is pleased to announce the shortlist for the eight different book prizes comprising the 2017 Atlantic Book Awards. The 22 nominated titles represent a wide range of books from Atlantic Canada—everything from history to kids’ books. The Awards will be given out in Paul O’Regan Hall, Halifax Central Library, on Thursday, May 18 at 7:00 p.m. This year’s Pioneer Award will also be awarded to someone from Nova Scotia who has made a substantial contribution to the literary life of the region.